Looking for unique designer labels in BK has never been too difficult a task but, thanks to Williamsburg mainstay, Graymarket, it's become even easier. The store has been, since its inception, synonymous with cool. 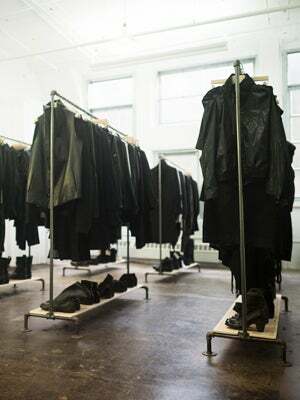 Carrier of some cult-favorites like Commes des Garçons, Ann Demeulemeester, and Rick Owens, Graymarket outfits you like a badass...without the tats and the bike. Another thing it leaves out? Overspending on labels. Though the shop carries covetable brands, its stock is all archival (previous seasons — but not out of style, duh! ), which means it slashes prices from the start. So, you can imagine how thrilled we were (and by thrilled, we mean aloof and composed, obvs) to hear that our new go-to is having an even-more-super sale. The discounts will feature 25% off on all the previous inventory the store has ever carried...like, ever (and keep in mind the threads are already less expensive than retail prices). So, hold on to your leather lace-up knee-highs and layer on the goodness! When: Friday, November 30, noon to 7 p.m.
Where: Graymarket, 242 Wythe Avenue #7 (between N 3rd and N 4th Streets); 718-384-4984.